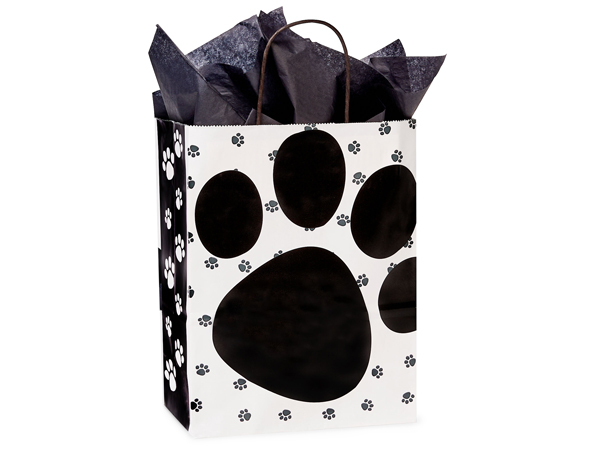 Cub Pooch's Paws Shopping Bags 25 Pk 8-1/4x4-3/4x10-1/2"
Our gloss Pooch's Paws Paper Shopping Bags in classic black and white will make a big impact! Large paw on front of bag is imprintable - great for pet stores, caterers and makes a great "doggie bag". Available in bulk cartons, small packs and an assortment. Individually UPC coded for resale.